Easi Garden LLP is an urban agriculture company that supplies growing kits to cultivate your interest in growing vegetables in your home. 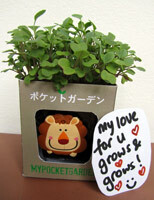 To date, we have sold thousands of My Vegetable Growing Kits to preschools and primary schools in Singapore. To raise awareness and promote our cause, we also conduct workshops and participate in roadshows throughout the year. 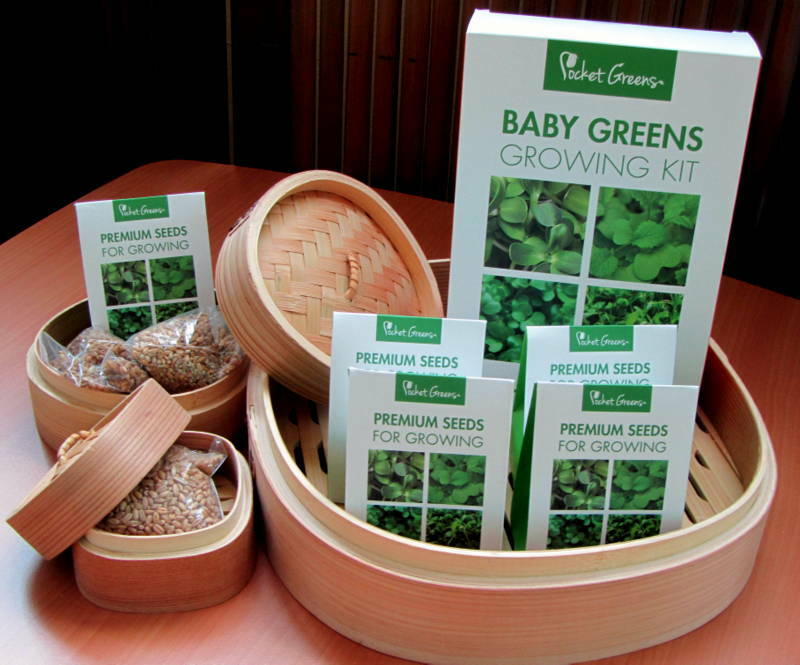 Our latest products under the Pocket Greens series are perfect for non-gardeners who are keen to grow their own vegetables for consumption. 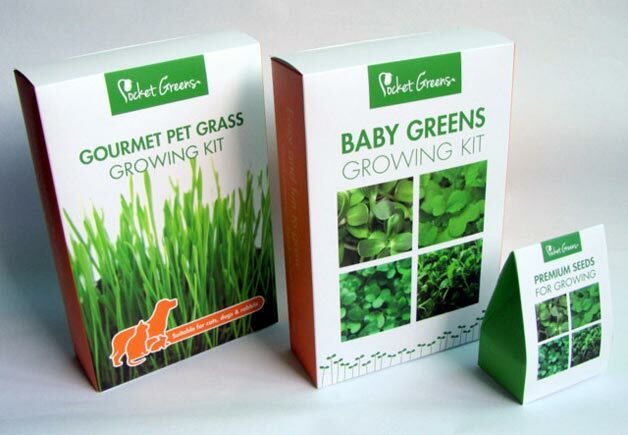 Our Growing Kits are wonderful gifts for adults and children. To purchase our Pocket Greens Growing Kits, you can visit the store Gardens by the Bay which is located next to the ARRIVAL CENTER at 18 Marina Gardens Drive. 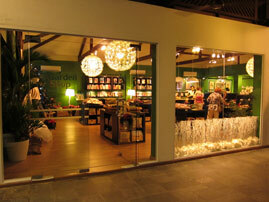 The Easi Garden Shop is now open! After months of preparation, we are pleased to announce that our first retail outlet is ready for business. 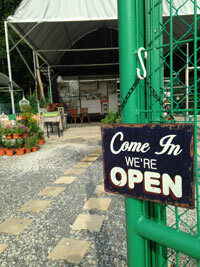 Located in the heart of the thriving Bukit Panjang N2 Community Garden, our shop fondly named as “Urban Barn" sells vegetable growing kits, seeds and vegetable seedlings, growing medium, fertilisers and garden accessories. Workshops and farm tours are also offered here. Do check out our Facebook page for updates and activities. Good news for those living in the East. 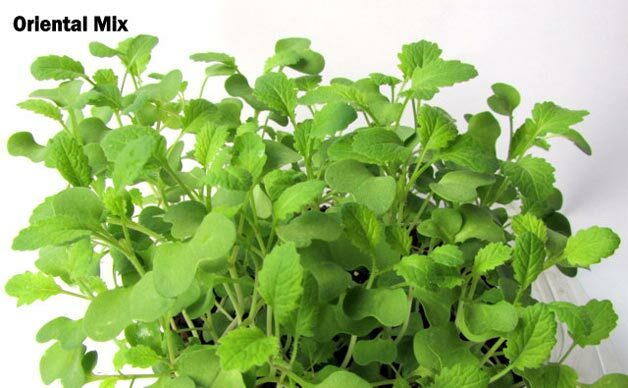 Our complete family of Hydroponic Baby Greens Growing Kit is now available at Floral Train - Florist in the East at I12 Katong, # B1-23, 112 East Coast Road, Singapore 428802. Get your Bebe, Mama and Papa kits today! LIKE US on Facebook to see our latest products, recipes and happenings! To celebrate Earth Day, Learning Vision @ Vista Point invited us to conduct a workshop for 100 preschool children. 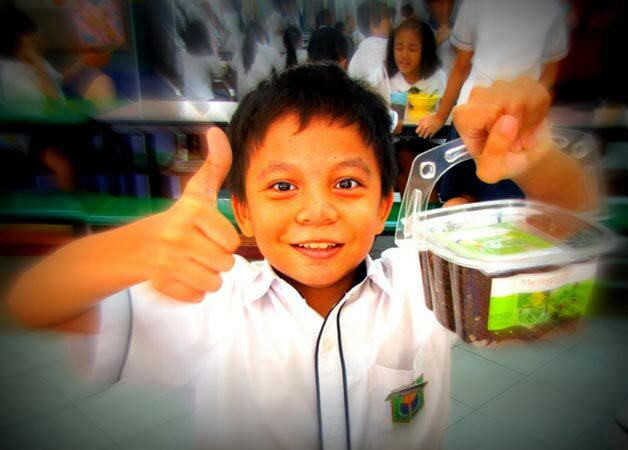 Each kid went home with his own My Vegetable Growing Kit. Some walked away with prizes too. Lunch Talk and product sales at Alexandra Hospital. On 26 May, about 100 employees at Alexandra Hospital turned up for our lunch talk at the Auditorium which focused on Growing Your Own Greens at Home. We did brisk sales as many were enthusiastic to start their journey on growing vegetables. We had a stand at the English Market at The Rainforest Sports Hub on 27 April to sell our vegetable growing kits and seeds to the expatriate community in Singapore. You will be hearing more about our growing vegetable workshop. We aim to show you the ways and provide you with the means to grow your own food. People associate growing greens with big commercial farms, requiring acres of land and slogging under the hot sun but this mindset is changing as more people are now interested in city farming. Easi Garden has gone a step further to bring the growing capability to everyone, from school children to adults, by developing convenient and sustainable vegetable growing kits. We are now conducting workshops for corporations, schools and institutions to share our growing experience. 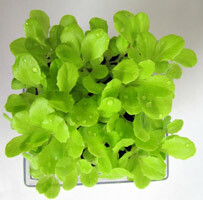 Our courses focus on ways to grow your own food at home, indoor or outdoor. 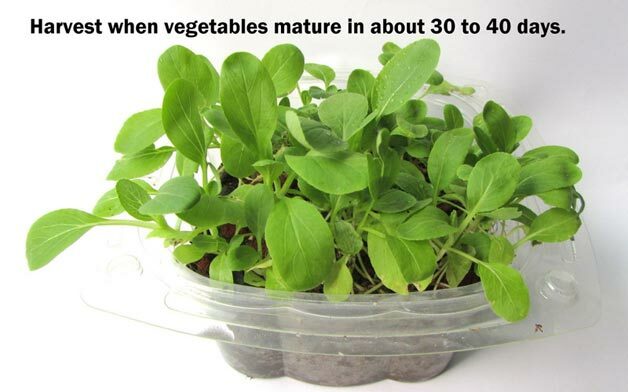 This will help kick-start one to start growing vegetables, leading to a healthy and fulfilling lifestyle, one that soothes the mind and body. We customise the courses to suit all ages and will provide participants with a starter kit so they can start growing right after the course. Our aim is to encourage many to consider growing vegetables as a new way of City living. ￼Call us to find more about our workshops. New and improved My Vegetable Growing Kit! We have changed the growing medium to a lighter and cleaner compost which provides better drainage. 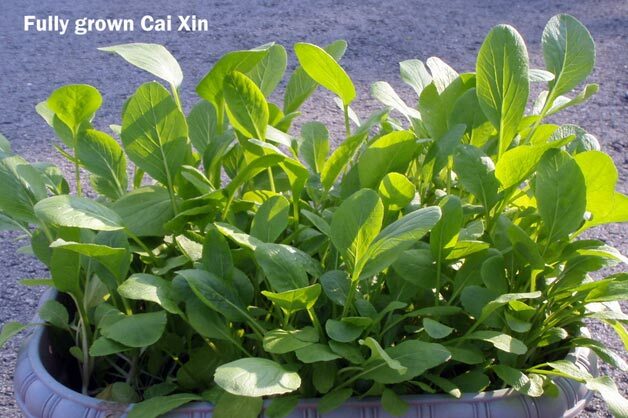 This is a sample of spinach grown in My Vegetable Growing Kit. This season, we have special gift packs featuring good quality wood crafted planters with refined finishing. These baskets, packed with our growing kits, make a charming and practical gift and can even be used as a planter to grow the seeds provided. They will surely bring a smile to everyone’s face. Available at The Garden Shop in November 2012. 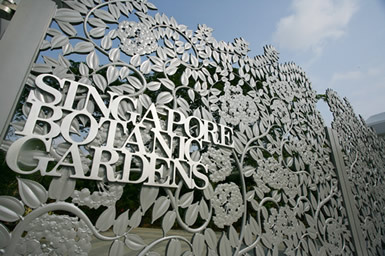 Our products are now available at The Garden Shop at Singapore Botanic Gardens. 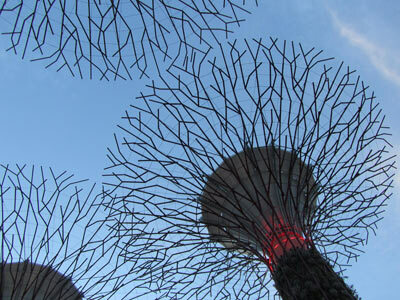 Ranked #1 out of the 291 must-visit Singapore attractions in 2011 by TripAdvisor, the sprawling Singapore Botanic Gardens possesses an array of botanical and horticultural attractions with a rich history and a wonderful plant collection of worldwide significance. 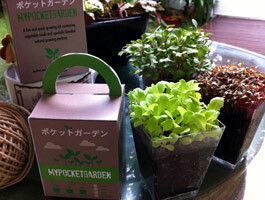 Introducing our latest product - My Pocket Garden! 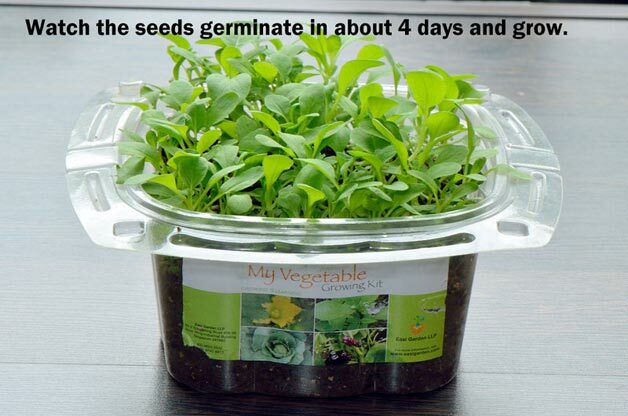 Like all our kits, My Pocket Garden is a complete quick growing kit containing seeds (choice of lettuce, red spinach, radish or cai xin) packed with a lightweight soil-less growing medium and a miniplanter. It is presented in a cute eco-friendly tote box with handles. 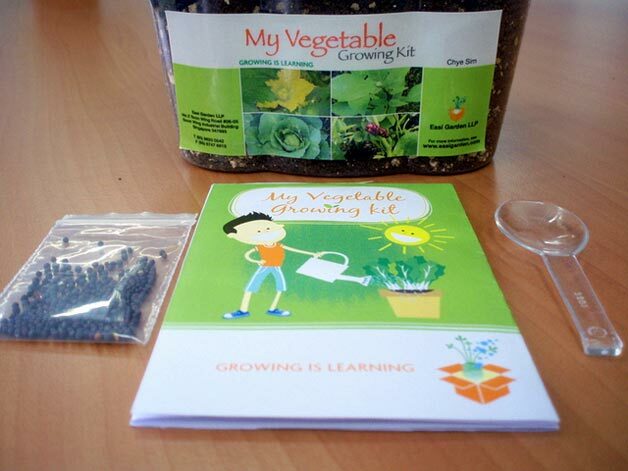 The beauty of the kit is everyone, even a young child, can grow vegetables quickly and easily. The box comes with a special panel to design and dedicate your own personal message. There are so many fun ways to make the growing experience creative and interesting. Wonder which vegetable is the easiest to grow? 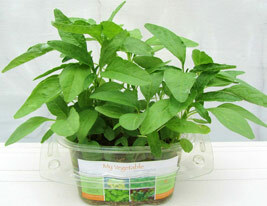 What are the varieties of vegetables we offer? How soon can you harvest your own vegetables? Got questions about the soil?